Use this guide to access online education-focused research databases and find other recommended resources. ERIC (Education Resources Information Center) is an authoritative database of indexed and full-text education literature and resources. Sponsored by the Institute of Education Sciences of the U.S. Department of Education, it is essential too for education researchers of all kinds. Education Database supports the study and application of education across all levels of education, including early childhood education, primary and secondary education, and higher education. The database supports global study and research, including thousands of full-text journals, dissertations and other relevant sources. 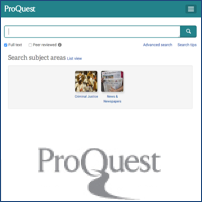 Formerly Academic Search Premier, Academic Search Complete is the world's most comprehensive scholarly, multi-disciplinary full-text database, with more than 9,000 full-text periodicals, including more than 7,850 peer-reviewed journals. The database features PDF content going back as far as 1887, with the majority of full text titles in native (searchable) PDF format. 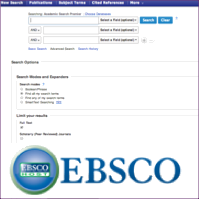 Searchable cited references are provided for more than 1,400 journals. This database provides a highly specialized collection of nearly 550 full text journals, including over 350 peer-reviewed titles. Professional Development Collection is a comprehensive collection of full text education journals. From the American Psychological Association (APA), a definitive source of full text, peer-reviewed scholarly and scientific articles in psychology.